The couple wanted a wedding with Mediterranean air on all sides . 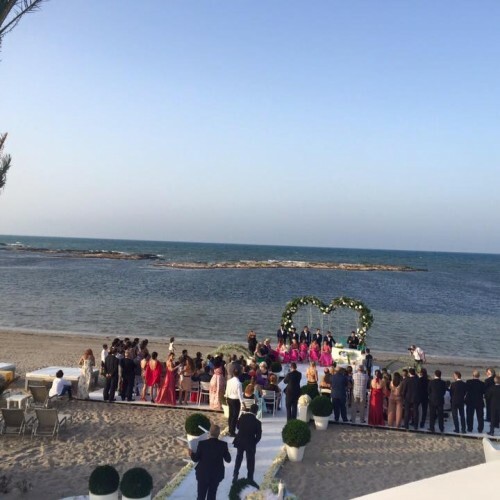 So we did , we celebrated the wedding shores of the Mediterranean , in an amazing civil ceremony on the sand. Then we served the cocktail with an awesome pool overlooking the sea. And to round off dinner in a large Mediterranean terrace . A success , since all the guests out were enjoying the breathtaking views.